The book takes place in the then-future of 1976-1979, and opens with the monotony and horror of the daily life of the protagonist, Robert Neville. Neville is apparently the only survivor of an apocalypse caused by a pandemic of a bacterium the symptoms of which are very similar to vampirism. 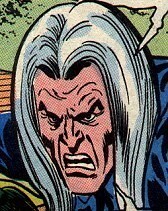 He lives in a house fortified against nocturnal attacks by the roaming infected, and sallies forth by daylight to kill the sleeping vampires. Every day he also makes repairs to his house, boarding up windows, stringing and hanging garlic, and disposing of vampires’ corpses on his lawn. What is remarkable about this particular riff on vampires is Matheson’s ability to immerse the reader in the quotidian labors of Robert Neville’s extraordinarily horrific circumstances. From the first pages you accompany the last man on earth through his daily struggle to find meaning in a universe literally emptied of humanity. In fact, Neville’s status as human frames him as the marginalized other in a world populated by the undead. The loneliness and horror of his situation is only matched by the austere manner with these realities are narrated, which makes for a strikingly original and modern re-imagining of the vampire legend. So, if you like horror or SciFi or some combination of the two set in a post-apocalyptic future – then I Am Legend is a sure thing for you! I would argue that if even you don’t like the above genres but are fascinated by narratives that explore the gossamer psychological fabric that enmeshes a vision of humanity, then, once again, this is the story for you! However, selling you on reading I Am Legend is not the intention of this post but, rather, a potentially “beneficial” side-effect. After having read this work I continually found myself saying, “This would be an unbelievable movie! I can’t believe no one has thought of producing it yet!” Nonetheless, I was certain that films like Night of the Living Dead, The Blade Trilogy, & 28 Days Later were progeny of this story. What I didn’t realize was that two adaptations of this story have already been made, and one of them was written by Matheson himself (although he had his name removed from the titles because the filmmaker had hacked up his script so badly), but more on this shortly. How did I come to realize this two years after reading the novella? A healthy combination of serendipity and the internet! The most exciting thing about the internet is that when you go on a protracted search for something you can be sure to explore a host of different things that you always wanted to know but, given the restraints of time and life, never pursued with any rigor. Serendipitous discovery is at the heart of the power and magic of the internet, and it is made possible by the unbelievable resources that millions of people continue to proffer, on a daily basis, to the rest of the world. A virtual community that has quite recently found ways to circumvent the commercialized maelstrom that typified the internet of the late 90s and re-imagine itself as a space for sharing, nurturing, and augmenting our imaginations. All of which is made possible through the creation of tools that allow people to quickly and easily share their ideas with the rest of the world, an empowering reality that makes the vision of utter isolation of at the heart of I Am Legend that much more dreadful as I think about that work while writing this. Well, godspeed the point! While searching the internet archive (a paragon for this vision of sharing – their tagline is as modest as “Universal access to human knowledge!”) for their collection of public domain feature films, I came across The Last Man on Earth, a 1964 film adaptation of I Am Legend starring the iconic Vincent Price, directed by Ubaldo Ragona (a no name director who was responsible for butchering Matheson’s script), and produced in Italy (at the time a mecca for b horror movies as my post on Mario Bava attempts to illustrate). After I found the The Last Man on Earth, I was then pointed to yet another film adaptation of this novel, which was none other then The Omega Man starring Chalton Heston – the greatest over-actor in film history! 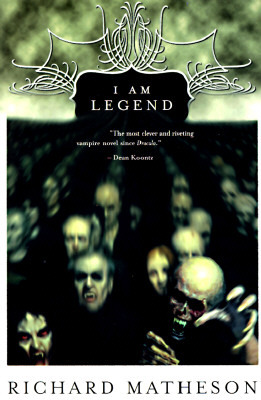 This in turn led me to a series of conversations about yet another adaptation of this work, which will keep the original title I Am Legend, currently in pre-production tentatively starring Will Smith and Johnny Depp (which is extra scarey!). You know, it is really amazing the things you can find out on this box. 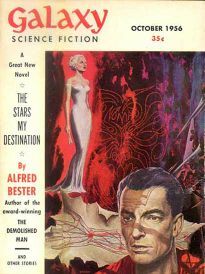 Hey, who knows, maybe I’ll discover that they did, indeed, make a film adaptation of Afred Bester’s The Stars, My Destination sometime soon! This entry was posted in film, films, movies and tagged film, I am legend, movies, night of the living dead, Omega Man, Richard Matheson, science fiction, The Last Man on Earth. Bookmark the permalink. Did I already mention that Donald Fagen of Steely Dan is a big fan of TSMD, too? Great minds…. P.S. Unfortunately, the movie is clearly shot in an anamorphic process (elongated images behind the credits–a dead giveaway) and the Internet Archive should put the movie up in its original aspect ratio. Widescreen bw is a joy to behold (cf. The Hustler). Don’t forget to jaunt back to UMW every so often! Hey, check it out. The wikipedia entry on TSMD even has a section titled Campbell’s Hero. At first glance I thought you were personalizing the wikipedia entry! I remember seeing “The Omega Man” on TV on one of those late night movie shows. I was just a kid, so it scared me to death, but I loved it. Interestingly, the internet is how I found out about the book – the complete opposite path you took. That movie still haunts me like the book haunts you. Sometimes I look around the world I live in and imagine what it would look like with no humans in it – no electricity, little noise, weeds everywhere, nature taking it all back. I read this amazing novella online a couple of years ago. I was drawn into the story from page one and couldn’t stop until I read the entire thing! I had seen “The Omega Man” years ago and never connected that movie with this story. However, once I thought about it, I could see the similarities. What amazes me about this story is that with the interest in biological entities and their far-reaching effects, this is still a very timely story. I couldn’t agree with you more about the idea of biological entities and the foreboding sense of a pandemic that alters the face of the planet. A bit scary with the threat of the avain fu lurking in the back of our psyche, not to mention the constant concern of biological warfare, etc. I also find the question of solitude and an individual’s routine despite the absence of the social fabric that makes it meaningful. A truly powerful story that I constantly come back to when thinking of our particular moment in history. Thanks for the thoughtul comment Lea.